The START International LR4500W bidirectional label rewinder rolls labels onto a roll core as they are dispensed from a thermal transfer printer or reel. The label rewinder operates in two directions, forward and backward. It has two speeds, slow and fast. 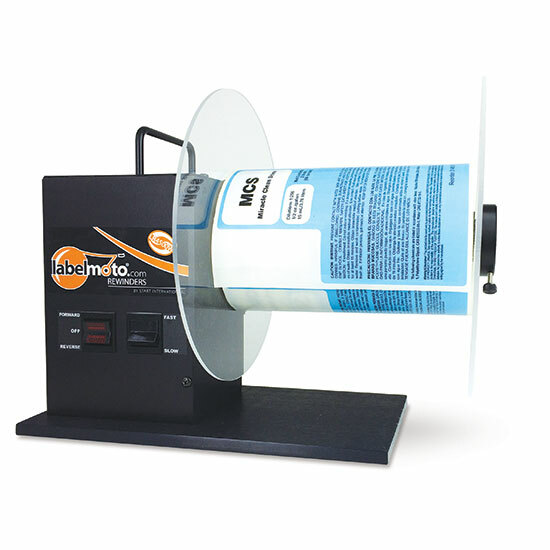 Two LR4500 label rewinders can be used to unwind and rewind labels for proper orientation of labels. The LR4500W label rewinder operates on 12 VDC with an included 100/120VAC adapter. This product is made in the U.S.